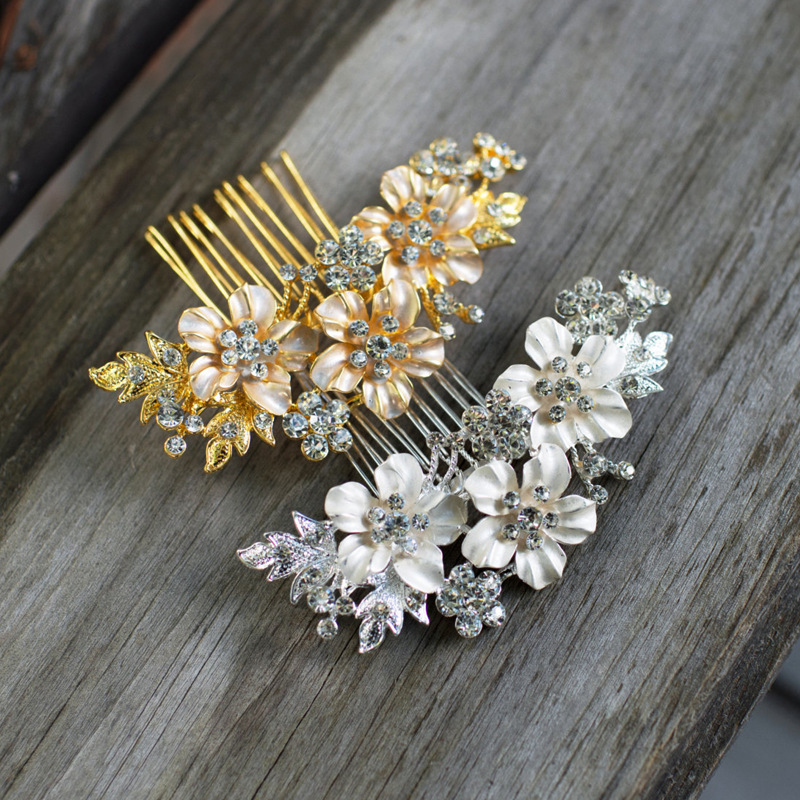 This is a beautiful rhinestone hair comb made of sparkling rhinestones. 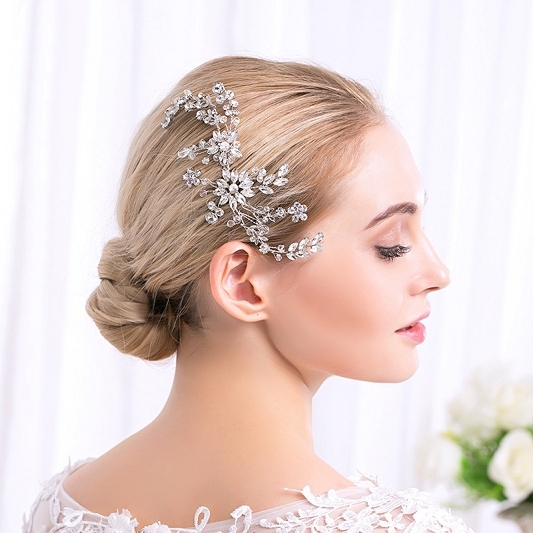 It is attached to a metal comb for easy positioning. 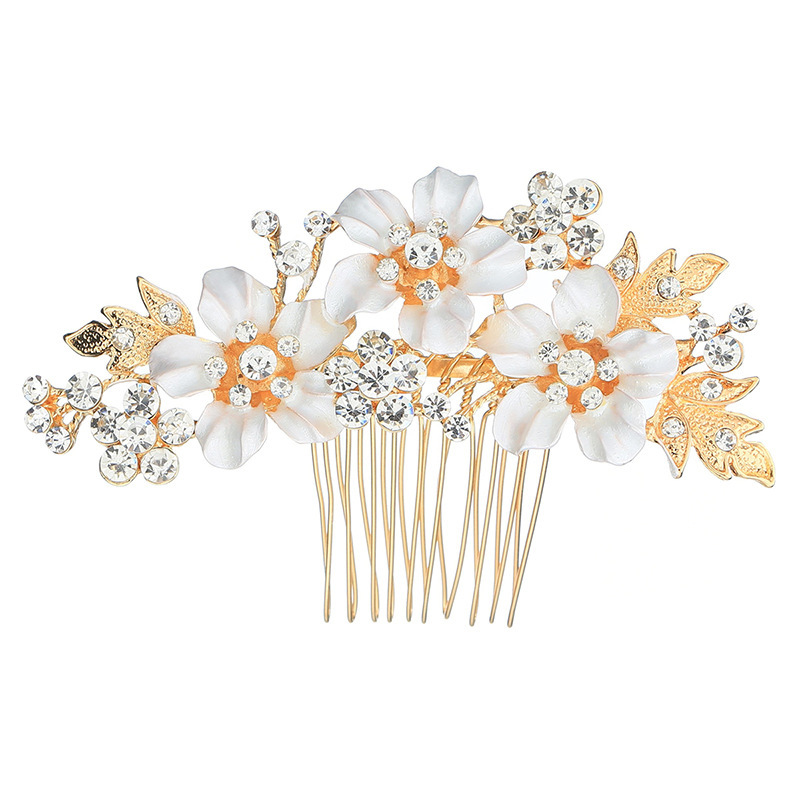 The rhinestone piece measures 3.5" x 2". 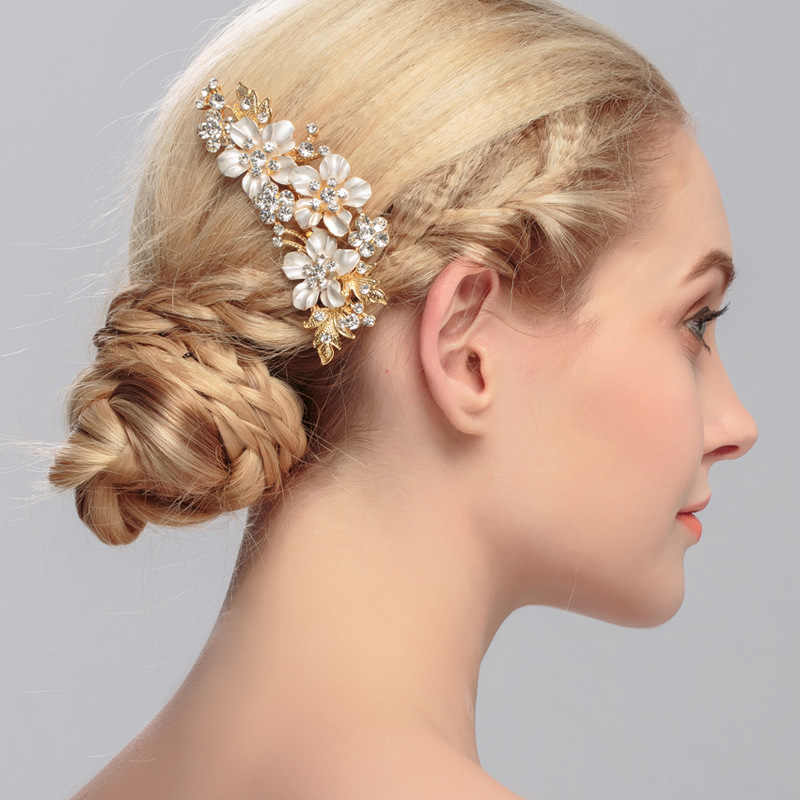 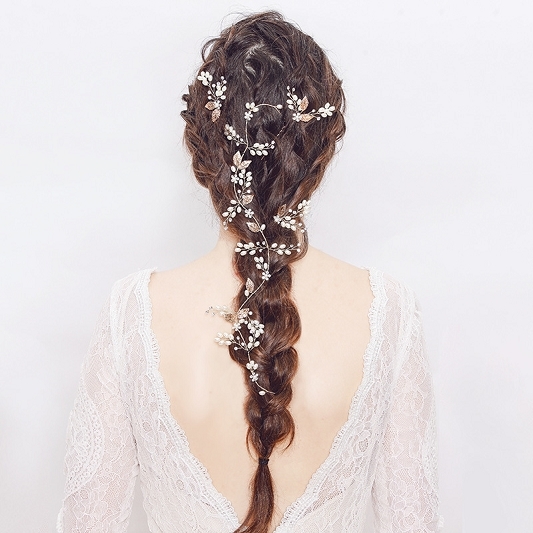 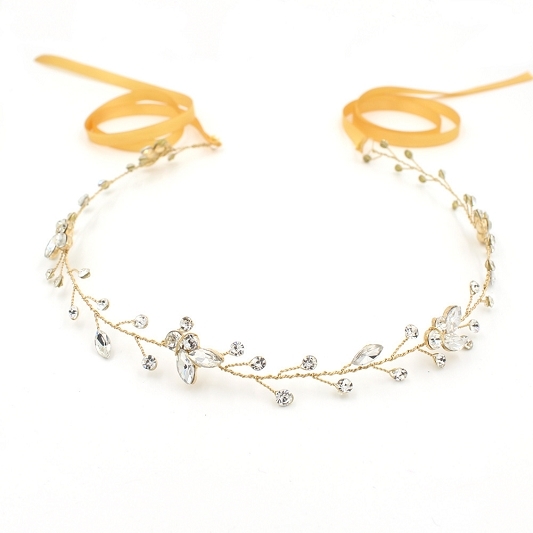 It is the perfect hair accessory for your special day.